JESÚS GARCÍA POYATOS is the International affairs Advisor of the Spanish General Council of Optometry (CGCOO), as well as its meeting planner for issues including continuing education. Jesús has been active for 10 years in clinical optics private practice, complemented by academic and public policy work in the field of optometry and optics. During the past 15 years, he has also been involved with the CGCOO in various capacities, including as the representative to the European Council of Optometry and Optics (ECOO) and to the World Council of Optometry (WCO). In 2008, he was appointed an executive member of the prestigious Spanish peer-reviewed Journal of Optometry. Jesús holds a Bachelor’s Degree in Optometry from the European University of Madrid (Spain), a BSc in Optometry and an MSc in Clinical Optometry from the Pennsylvania College of Optometry (U.S.), as well as a Masters in Corporate Events Management from the Complutense University of Madrid. 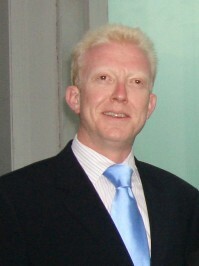 Since 2010, he has enjoyed the status of member of the European Academy of Optometry.